Oeiras, March 20: Juventus star and Portuguese national football hero Cristiano Ronaldo returned home to wear the western Iberian nation's team jersey for the first time since the 2018 FIFA World Cup. Although it was Portugal and Juventus' defender Joao Cancelo, not Ronaldo, who attended the press conference held prior to the training on Tuesday, reports Efe news. 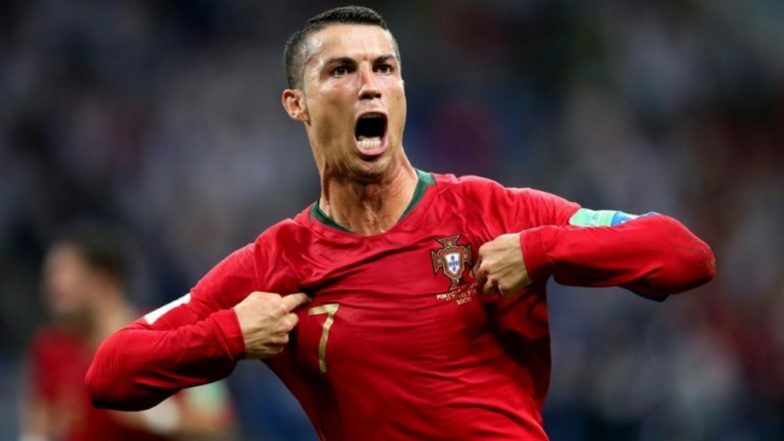 Cristiano Ronaldo’s Hat-Trick Against Atletico Madrid Breaks All-Time Record; Sends Juventus In Quarter Finals of Champions League 2018-19 (Watch Video). The 2016-Euro-Champion Portugal drew to the B-Group of the Euro qualifiers, which also includes Lithuania and Luxembourg, along with Ukraine and Serbia. During Tuesday's practice, all cameras followed Ronaldo.